Tomorrow is the memorial for a favourite teacher, Dougal Fraser, up in Vancouver, and I’m not going to make it, having been laid low with bronchitis and a slipped disk (yes one can cough that hard), so I’ll post here the remarks I’d thought to make there. 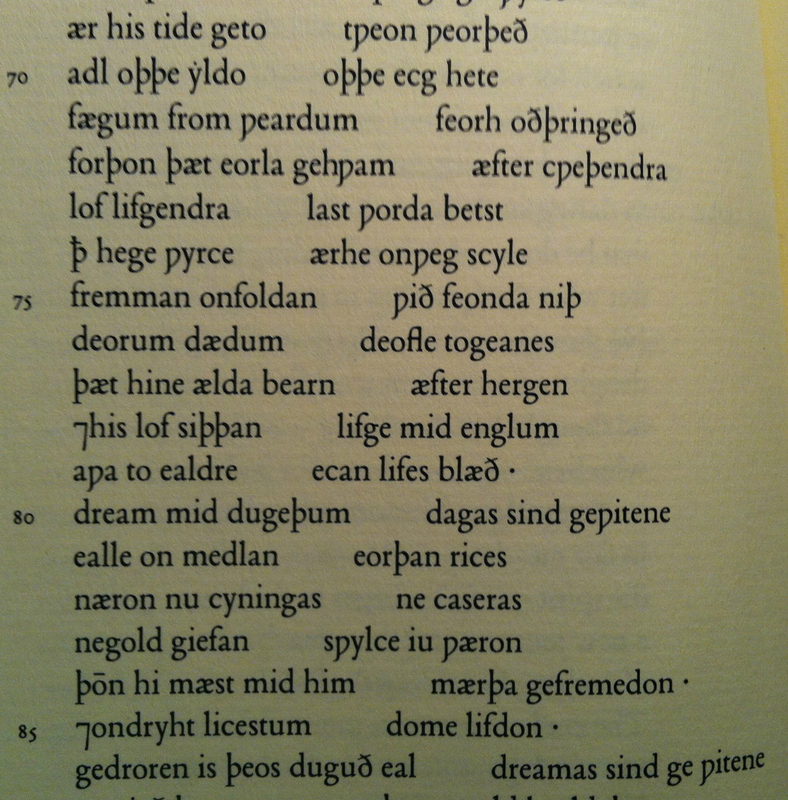 Mostly I want to say that Dougal helped instil in me a love of poetry that will last me my life long. And that’s a comfort I thank him for. And so I thought I’d read a few bits of poetry that came to mind when the invitation came to speak today. One speaks to my sense of something dark or even tragic in his seeing. Because it’s hard being a person, it just is, and he knew it, and he wanted us to enter the world not ignorant of the fact. This is from the Old English poem “The Seafarer.” The speaker is saying why he prefers a life of restless wandering at sea to one of easy complacency on land. And today I hear in his words a case for a life of restless wandering in mind. that company and past those joys. Dougal was also, as all who knew him know, a reservoir of joy, and irreverent unto high iconoclasm, by which I mean a great clown, a clown of greatness. So Shakespeare’s Falstaff comes too to mind — the one whose wit’s so sharp it might skewer not just kings but kingship. Here he is on the verge of undoing the whole code of manhood and warmongering. How then? Can honour set to a leg? No. Or an arm? No. Or take away the grief of a wound? No. Honour hath no skill in surgery, then? No. What is honour? A word. What is in that word ‘honour’? What is that ‘honour’? Air. A trim reckoning. Who hath it? He that died o’Wednesday. Doth he feel it? No. Doth he hear it? No. ‘Tis insensible then? Yea, to the dead. But it will not live with the living? No. Why? Detraction will not suffer it. Therefore I’ll none of it. Honour is a mere scutcheon. And so ends my catechism. Scutcheon: decorative heraldic panel. That his agenda’s mostly selfish just sweetens the dish. When I was a child, I spake as a child, I understood as a child, I thought as a child: but when I became a man, I put away childish things. For now we see through a glass, darkly; but then face to face: now I know in part; but then shall I know even as also I am known. Dougal, I don’t know who you are seeing face to face right now — maybe a heavenly host, maybe a diet of worms — but I hope you are having a good laugh together. You were brilliant and fickle and kind and mean in the best imaginable way and one of the most fully human beings it has been my good fortune to know.